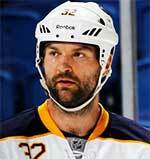 John Howard Scott (born September 26, 1982) is a Canadian hockey defenceman/winger. Undrafted, Scott committed to a four-year collegiate hockey career with Michigan Tech in the Western Collegiate Hockey Association. As an enforcing physical defenseman, Scott recorded 19 points with 347 penalty minutes in his time with the Huskies. 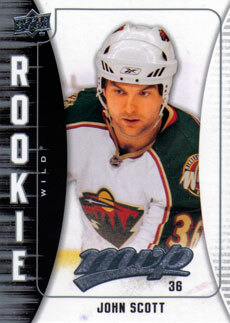 During his first professional season in 2006–07 he was signed by the Minnesota Wild to an entry-level contract. In the 2009–10 season Scott scored his first NHL goal on November 15, 2009. On December 24, 2014, Scott was suspended for four games as 'punishment for punching an unsuspecting opponent and causing an injury' on December 22 according to the NHL's Department of Player Safety. The punch/hit with stick was, again, on Jackman. In the 2015–16 season, on January 2, 2016, Scott was announced as the winner of the NHL All Star Game fan vote, as the captain for the team representing the Pacific Division of the Western Conference.